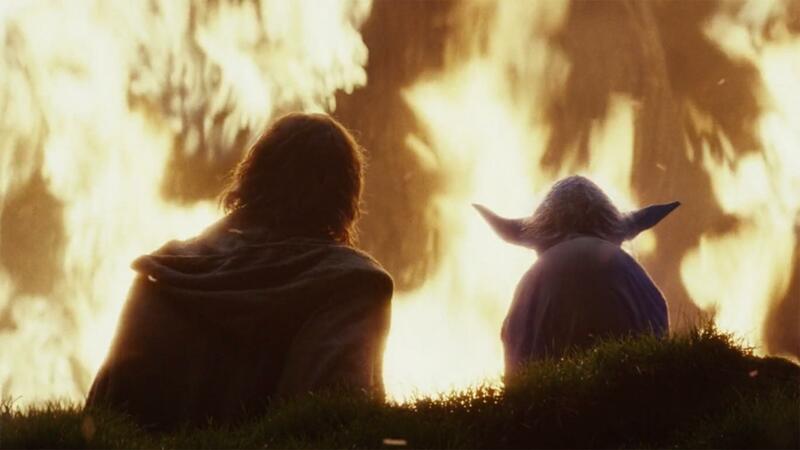 Despite TLJ having its issues, this image gives me so many feelings. This comment was posted to reddit on Nov 30, 2018 at 7:45 am and was deleted within 14 hour(s) and 12 minutes. But the force projection is a good way of showing that Luke grew past some of the flaws of the original Jedi order. He managed to find a nonviolent way to save the resistance, which I think is pretty awesome. I never really liked that the Jedi were supposed to be a force striving for peace when a lot of their main attempts at solving problems just boiled down to fighting. The whole storyline also adds weight to Lukes scenes at the end of Jedi. It showed just how close he actually was to falling to the dark side and how similar he was to his father. He may have realized that fighting and possibly killing his nephew would have pushed him there (just like anakin trying to save the ones he loved). So seeing his own weakness, he had to find another way. The Finn storyline was completely terrible though. Hayden Christensen and Ian McDiarmid reunited at SWCC today! I have never seen so many people comment that they're not going to watch something they don't care about So with L337-bot I've got something to say~ Solo: A Star Wars Story has been nominated for the Oscar for Best Visual Effects! I just rewatched The Last Jedi Why do people want Star Wars to crash and burn? I want to get into the Star Wars lore. Where should I start? How do you want IX to tie into the Prequels? ”Luke felt responsible. He just...walked away from everything.” [SPOILER] One thing I have a problem with in TLJ [SPOILER] One thing I have a problem with in TLJ A non-canonical comic revolving around the Jedi Order never being destroyed and Order 66 never happening would be amazing. Adam Driver on the Prequels Star Wars Episode 9 [Spoilers] 'The curse of the ninth' is a superstition held in the world of classical music, which says that composing a tenth symphony is to 'tempt fate'. John Williams has said he will not return for a 10th Star Wars score, saying 'nine is quite enough for me', but also as a nod to this notion.